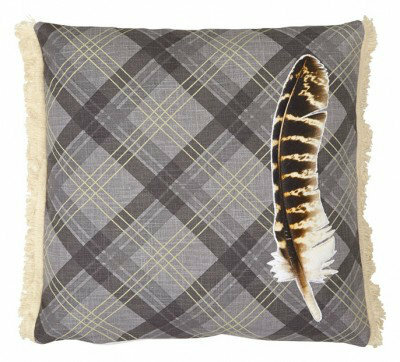 An elegant embroidered cushion featuring a large feather with fringe detailing on the edge of the cushion. 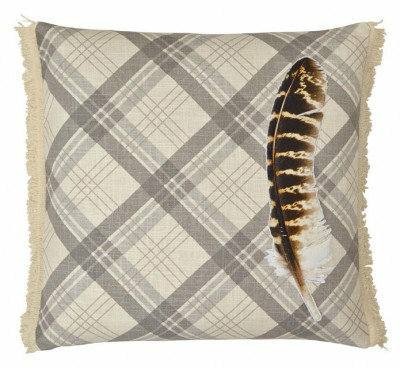 Shown here in various colours on a cream neutral tartan check background. Total cushion size is 45cm x 45cm. Unfortunately samples are unavailable. 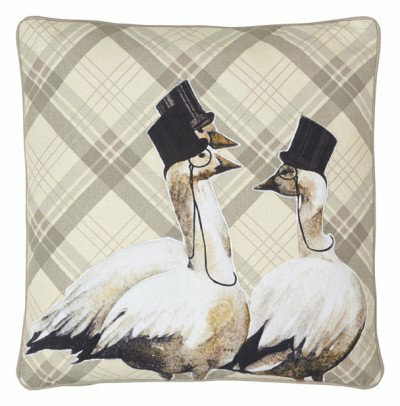 A quirky embroidered cushion featuring geese in black top hats. Shown here in various colours on a tartan check background. The reverse of the cushion is a solid light grey. 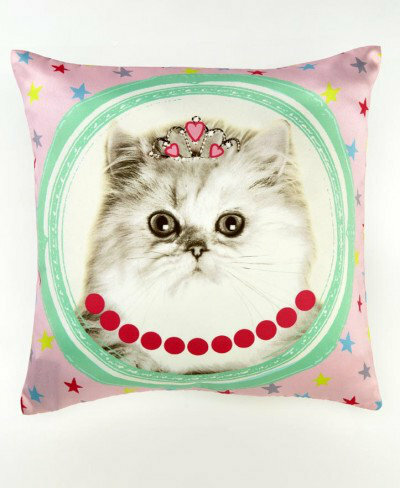 Total cushion size is 45cm x 45cm. Unfortunately samples are unavailable. 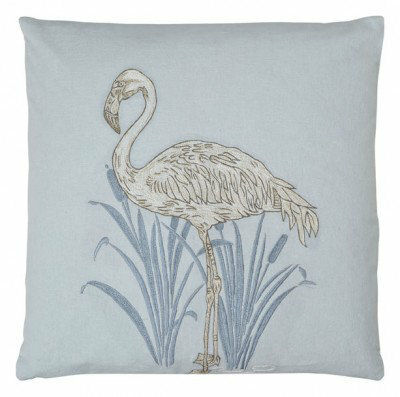 An elegant embroidered cushion featuring a stylised flamingo. Shown here in white on a black background. The reverse of the cushion is black. 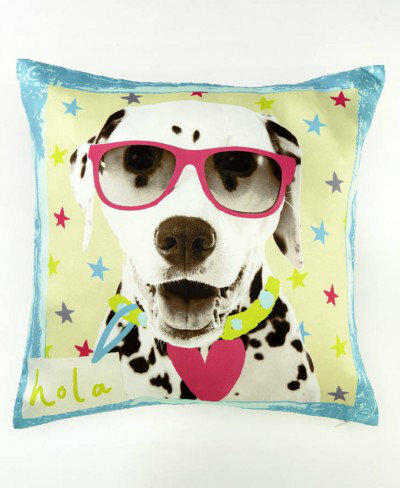 Total cushion size is 45cm x 45cm. Unfortunately samples are unavailable. 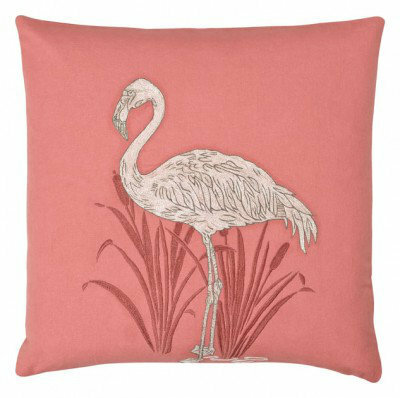 An elegant embroidered cushion featuring a stylised flamingo. Shown here in grey on a blue background. The reverse of the cushion is taupe. 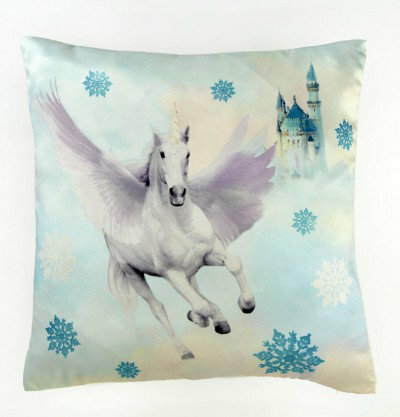 Total cushion size is 45cm x 45cm. Unfortunately samples are unavailable. 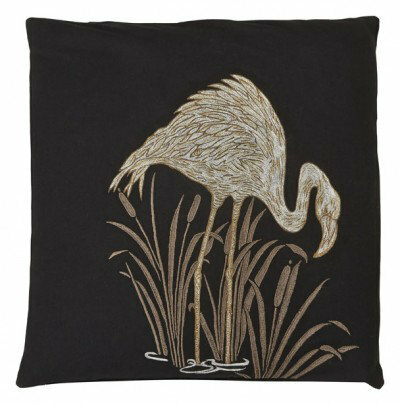 An elegant embroidered cushion featuring a stylised flamingo. Shown here in pale pink on a coral background. The reverse of the cushion is also coral. 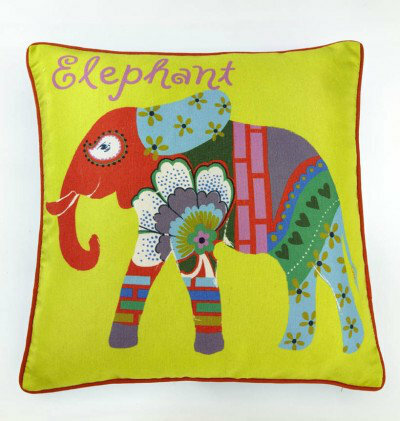 Total cushion size is 45cm x 45cm. Unfortunately samples are unavailable.